Get creative with this amazing magic wand. Be it extreme-tight skinny curls or flirty waves, it can do it all. 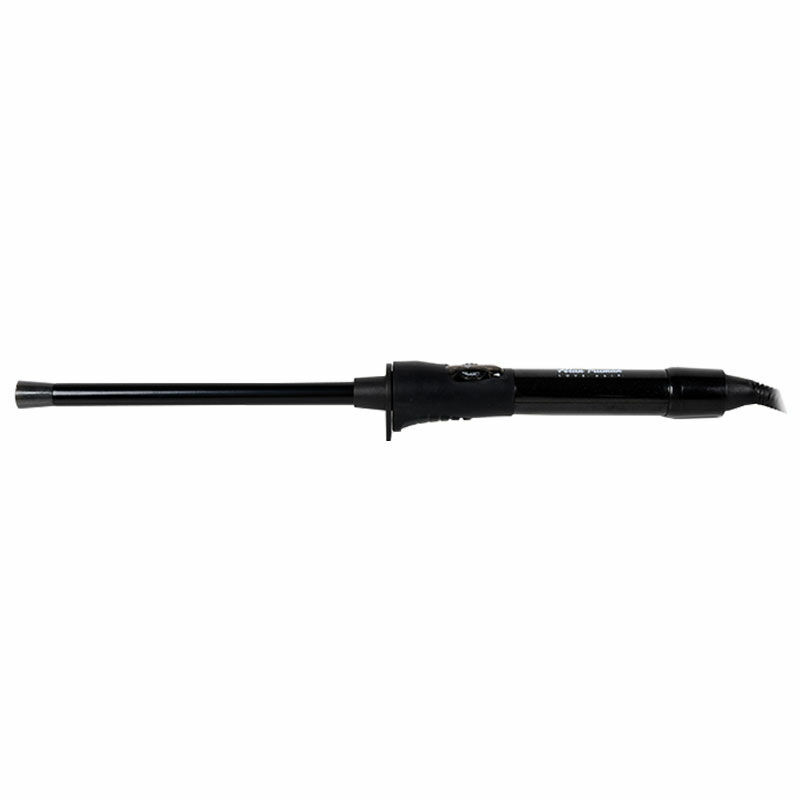 The Alan Truman Round Stick Curler is an ultra-thin curling wand, that comes with an extra-long tourmaline-ceramic coated barrel. It is extremely light in weight for its size and has five temperature settings and a 3-meter heavy-duty yet slim power cord. The ultra-thin barrel is coated with tourmaline and ceramic to give your hair extra shine and protection while you style it. What all can you do with the Alan Truman Round Stick? How do I achieve so many different styles? It is a multi-styler that lets you create several different styles depending upon:The amount of hair you take per section, the way you wrap hair around the stick and the amount of time you allow it to style.The best part about this straightener is that it doesn't have a clip, which gives you a world of flexibility and ease of use. Wrapping it close and tight in a spring like format will give you tight springy curls or Afro curls. You can leave the curls untouched for a more defined look or open them up using the Alan Truman Finishing Brush for a wavy voluminous look. What temperature does it work at?The Alan Truman Hot Stick has variable temperature settings. It allows you to choose temperatures from 110%C to 230%C. It is good enough for styling most hair types. The far infrared technology seals in the moisture and helps retain and maintain the style all day along and until the next wash.
What are its hair-health protect features? Negative Ion technology - Helps you get rid of frizz and gives you a defined style without the irritation of unwanted static. Far-infrared technology - Seals in moisture and helps you retain the style. Can I use it when I travel?Absolutely! It has a dual voltage circuitry, which allows you to travel without hassles of carrying multiple tools or electrical adapters. Does it have all the basics a good styling tool should have?100%. Alan Truman has been doing this for years on the professional styling tools circuit. It has a regulated temperature control, a cool tip and a 360-degree salon grade 3 meters power cord. It comes with a free finger glove and a hard storage box. Warranty: One-year warranty against workmanship defects and damages. About the Brand: Alan Truman brings to you innovative, high performance hair styling products and accessories. With an extensive product range, Alan Truman has been successfully catering to professional hair stylists all across the globe with their exceptional quality salon care products and hair styling tools. All their products are designed with cutting-edge technology to bring you complete style, control and flexibility.